Perspecta has secured a prime position on a potential 10-year, $12B contract vehicle to support the U.S. Army’s enterprise information technology operations. The company said Tuesday it will vie for task orders in the cybersecurity, integration, consolidation, telecommunications, supply chain management, operation and maintenance, business process engineering, education and training areas through the Information Technology Enterprise Solutions 3 Services contract. 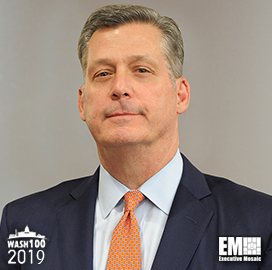 Mac Curtis, president and CEO of Perspecta and a 2019 Wash100 winner, said the company has a track record of helping clients update their enterprise systems. “We are honored to have been selected to continue on this transformation journey with our Army customer and we are excited about the work ahead,” Curtis added. Perspecta is among the 134 awadees for the ITES-3S indefinite-delivery/indefinite-quantity contract, which has a five-year base period along with four one-year options.